THE NEW ZEALAND SMALLHOLDER, March 16th, 1935. The Spuria group of irises is for the most part tall growing, and prefers a moist, loamy soil. With but one or two exceptions they object to the presence of lime. However, in common with most other irises, they are really adaptable, and will do quite well and flower freely and good guard soil, provided they can be supplied with water during the main growing season, which is from the blooming in November and December until April. Moving and dividing is best carried out immediately after flowering. The tall species of this group have long, sword shaped leaves, and are very handsome and exotic in effect when clumps are grown in their correct setting. They look at their best growing by the waterside or an a low lying swampy area. To get the best effect they should be grown in spacious surroundings, where one may stand away from them and view them in combination with other waterside growth. The colour range is through many shades of blue and purple to white, primrose, sulphur, and golden yellow. The flowers are produced on tall, stiffly upright stems, usually bearing several lateral branches, which are, however, held erect close to the main stem, thereby giving the appearance of a single head of bloom. In shape the flowers themselves bear are really strong resemblance to the Xipion (English/ Dutch) or Spanish Iris group. There is no one form to which the name Spuria can be specially applied. Many differing forms collected from Spain, France, Germany, Austria, Hungary, and through Asia to the Kashmir district have been given the specific name during the last 400 years. The section has been for many years and cultivation, and the botanist, Clusius, mentions in his horticultural work, published in the 16th century, that he had found the form to which he had given the name Spuria growing wild near Oppenheim on the Rhine in 1563. It is very difficult to distinguish between the various forms, though many have been given varietal rank. They all agree in having blue or purple flowers of varying depth of colour, relieved more less by white or creamy yellow markings at the base of the falls. The European forms are fairly dwarf, 1 foot to 2 feet in height, but the form usually catalogue by nurseryman as Spuria was collected at Sringar, in Kashmir,and grows to a height of 3 to 4 feet. Sintenisii, a species belonging to the Spuria group, is distributed through southern Italy, the Balkans, and Turkey. It is a dainty little thing of rich, royal purple, with decided white veining on the blade of the falls. Sintenisii is sometimes confused with Graminea, a species from central Europe. Graminea is a fascinating little Iris some 15 inches in height. Standards and falls are a bright China blue, with the style arms dealing a decided contrast of red-purple. This species is distinguished by its sweet scent, which resembles strongly the centre of a ripe peach or apricots. One of the tallest irises of the group, and the easiest to grow in a section notably easy, is Ochroleuca, which grows to a height of 5 feet, and bears large stiff white flowers, very pure in effect, with a gold signal patch on the fall. 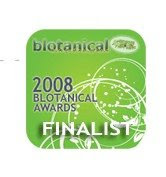 It has been sent out by nurseryman even so recently as 15 years ago, under its old synonyms of Gigantea and Orientalis. It is a native of Asia Minor. Monnieri is the same height as Ochroleuca,but is somewhat larger in the flower and the colour is a bright yellow. The habit of Monnieri is not known. It was found in the garden of Mons. Lemonnier, of Versailles, where it was believed to have come from Rhodes or Crete. It has not however, been collected since by botanists in those islands. Dykes, in 'The Genus Iris', doubts whether it is entitled to specific rank, rather inclining to the belief that it, with Ochroleuca, is merely a natural colour variety of some form of Spuria. Aurea is a native of Kashmir, and has flowers of a slightly different shape from the foregoing. The colour is richest golden yellow, and the flowers are borne on 3 foot stems. It is one of the last of the group to flower. There are some very fine hybrids of these tall spurias, outstanding varieties being 'Shelford Giant', 'Monspur', and 'Monaurea'. 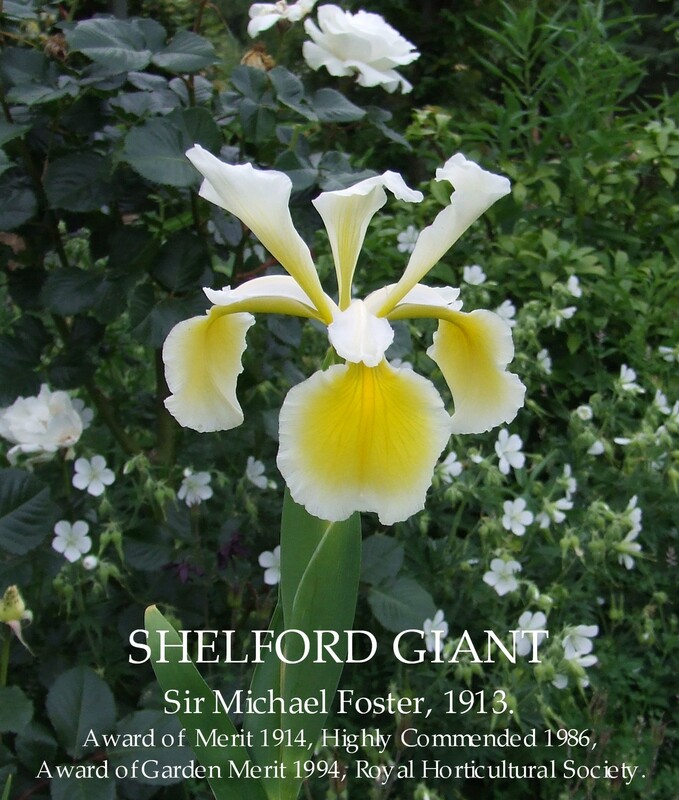 They were raised by Sir Michael Foster in his garden at Shelford. It is interesting to note that the author Miss J. Burgess [Jean Stevens] refers above to Orientalis as a synonym for Ochroleuca which at the time of publication (1935) was most likely correct but today because the name I.ochroleuca unfortunately came later than I.orientalis the reverse applies and under the International Rules of Nomenclature it is now referenced as, I.orientalis Miller (Syn. I.ochroleuca). Also generally the practice of dividing is done nowadays at the start of the Autumn Rain.